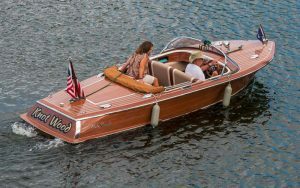 On Saturday, June 24th, the Portage Lakes 42nd Annual Antique and Classic Boat Show drew a record crowd to one of the best-attended shows in many years. This free event was held at the “On Tap at the Harbor” restaurant and docks on Portage Lakes Drive in Coventry, Ohio. 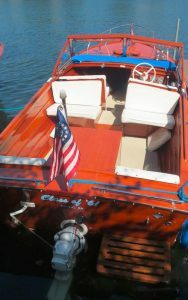 There were over 50 classic wood and fiberglass boats; in the water and on land displays. 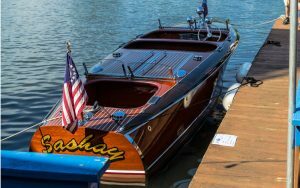 The show lived up to its reputation of bringing the elegance and craftsmanship of America’s skilled boat manufacturers to all the residents visiting the show. 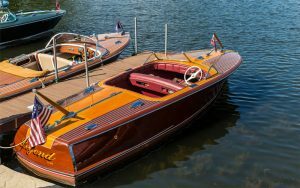 The Antique and Classic Boat Society (ACBS), an international organization devoted to the preservation and recognition of all types of personal watercraft with 54 chapters throughout North America and Europe, and its North Coast Ohio Chapter hosted the show and handled all the judging. The show’s co-host is the Portage Lakes Historical Society. This show has been held in these same lakes since 1975. Unique to this year’s show was a contingent of “youth judges”, made up of area grandchildren of some of the participants and a local Boy Scouts of America Troop 215. These young judges were managed by club member Ray McFarland and enjoyed learning the intricacies of learning how to judge boats using the ACBS Judging Guidelines. The headline picture of this post is of the Youth judges, judging Chris Craft Silver Arrow owned by Aaron LaDonne of Ynot Yachts of Pittsburgh PA. The youth judging program is sponsored by the Antique and Classic Boat Society and the Hagerty Insurance company. 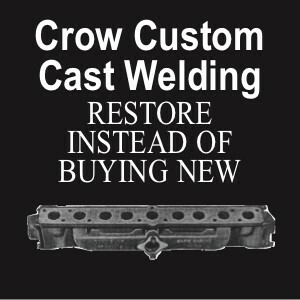 Plans are already underway for planning next year’s show. If you have any interest in becoming a sustaining sponsor, contact show chairman; Gil Maringer at 216-310-7475. Thank you, Walt Stashkiw, for this North Coast Ohio Chapter event report and pictures!